Chase Freedom is an excellent choice for a young person with a good credit score (in the mid 600’s or better). So, any youngster that want to apply for this must have compiled some good credit history first, e.g. by properly handling an autoloan, a student loan and a credit card / secured credit card. 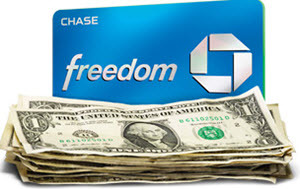 The Chase Freedom credit card is issued by Chase, the U.S. consumer and commercial banking business of JPMorgan Chase & Co. Examples of other credit cards from the same issuer are Chase Slate and Chase Sapphire Preferred. Chase Freedom has no annual fee, so you can get this card even if you are on a strict budget and doesn’t want to splash out on credit card fees. You get a 5% cash back (up to $1,500) on purchases in categories that rotates each quarter. Examples of categories are restaurants, gas stations and select grocery stores. For all other purchases, the cash back is 1% without any upper limit. If you make purchases for a total of at least $500 during your first three months with Chase Freedom, you get a $150 bonus. The Chase Freedom purchase protection covers your new purchases against damage and theft for 120 days. The limits are $500 per claim and $50,000 per account. 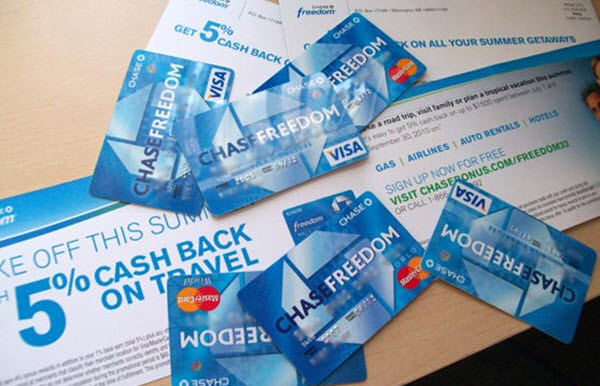 You can only get Chase Freedom it if you have a good credit score. Compared to VISA cards and MasterCard cards, Chase cards are less well known outside the United States and in some countries you may have difficulties finding outlets that accept Chase cards. This information was obtained in 2016 and concerns the U.S. market. It is always a good idea to visit the Chase site to make sure you get the latest updates before you make any decision. 0% introductory APR on purchases and balance transfers for your first 15 months with Chase Freedom. After the introduction period, the APR is 14.24 percent, 19.24 percent or 23.24 percent for purchases and balance transfers. There is a 3% balance transfer fee. The minimum balance transfer fee is $5 and will be charged even if 3% of the transferred amount is less than $5. You get a $25 bonus after you add your first authorized user and make a purchase within this same 3-month period. or online within 90 days, you may be eligible for a reimbursement of the difference up to $500 per item. (Maximum $2,500 per year.) Conditions apply. 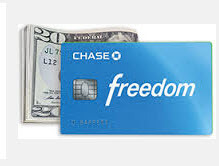 The Chase Freedom credit card is issued by Chase, the U.S. consumer and commercial banking business of JPMorgan Chase & Co.
JPMorgan Chase & Co is a public company based in the United States. It is traded as JPM at the New York Stock Exchange and is included in the indices DJIA and S&P 500 Component. JPMorgan Chase & Co was formed in the year 2000 when Chase Manhattan Corporation merged with J.P. Morgan & Co. JPMorgan Chase & Co is active in roughly 60 countries worldwide. Chase (formally JPMorgan Chase Bank, N.A.) is a national bank. Before the merger in 2000, the bank was called Chase Manhattan Bank. Chase has over 5,100 branches and approximately 16,100 ATMs in the United States. When measured by card balances, JPMorgan Chase Bank is the second largest credit card issuer in the United States.